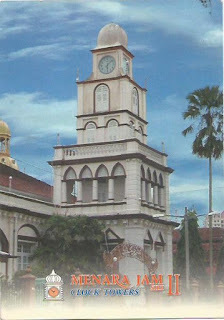 A postal card showing the Clock Tower of the Al-Muhammadi Mosque (also known as State Mosque) in Kota Bharu, Kelantan. Sent by myself. 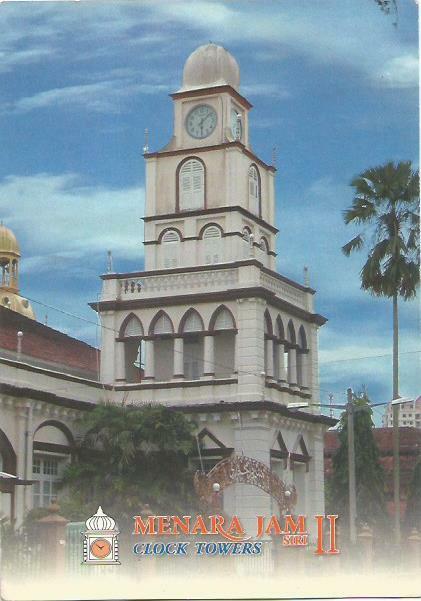 This card comes with a 20 Sen imprint stamp on The Medan Pasar Clock Tower in Kuala Lumpur. 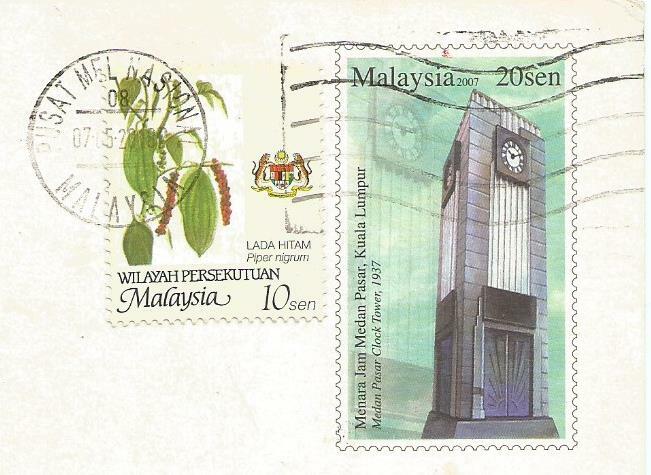 A 10 Sen agro-based definitive stamp were used to up-rate it. The meter cancellation of Pusat Mel Nasional 08 cancelled it on 7.5.2018.